Much has been said & written about eco-tourism and what tour operators do for the environment and wildlife. It appears that many organizations, however remotely involved, use the eco-tourism concept as a marketing tool. As a result, the term has become just another buzzword and lost its true and potentially noble meaning. 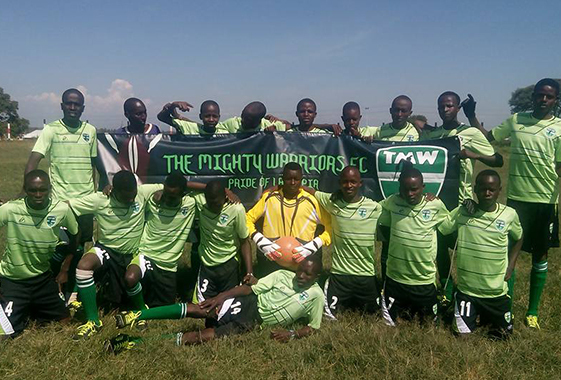 The Mighty Warriors Football Club was founded in 2015 to promote environmental awareness and nurturing football skills in Maasai young warriors for livelihood survival options. The club is registered with Football Kenya Federation (FKF) Laikipia Sub- branch in Laikipia County. The club aims to enlighten the Laikipia North community (through Sports – Soccer) the importance and need of a clean and healthy environment for a sustainable livelihood. Plastic use and eventual disposal continue to pose a serious threat to a clean environment, both livestock and wildlife survival. The club will therefore work with like-minded organizations, local communities, schools and other stake holders towards a better understanding & appreciation of the links between people and their environment. Fact Safaris is privileged to partner with this warriors in pursuit of achieving their objectives. 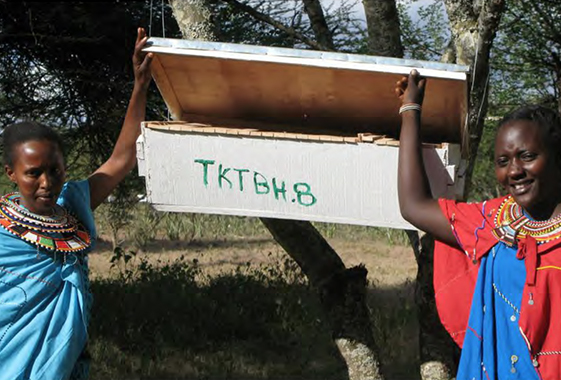 The Twala Cultural Center is a community-support program started by the Uaso Ngiro Baboon Project for the women of Il Polei village in Laikipia District, North of Kenya. The women group aims at empowering women economically through various projects within their enterprise i.e. Bee keeping, Aloe Vera production, bead work, resource center, ecotourism products i.e. Walking with Baboons; Walking with Maasai and their livestock and Plant & nature Walks and other ecologically sound enterprise development projects (e.g. Opuntia fruit syrup). FACT SAFARIS works with Twala Women Group in planning cultural safaris that promote the role of women in development initiatives and an opportunity to understand the role of the Maasai culture towards environmental conservation in a traditional context. If you would like to see first-hand how these initiatives shape the conservation ideas of future generations for Kenyans, we could visit Twala Women as part of your safari. Fact Safaris Ltd works with schools environmental clubs, women and youth groups through the provision of indigenous tree seedlings for planting. Periodically, incentives will be awarded to such groups or clubs that demonstrates exemplary performance in taking care of the environment (trees) to motivate them in promoting the mission of this program in restoring degraded land. We are privileged to be based and work in some of the planets most pristine, delicate and valuable country sides. It is our moral duty to ensure that our activities protect the land and its environment for the long term sustainability. We also need to ensure that skills and material benefits accrue to the communities who live adjacent to these conservation areas to ensure that these people have the incentive to nurture the land. At FACT SAFARIS LTD, we are driven to ensure that whatever we do never compromises the integrity of the conservation areas and that all our actions / decisions add value, to enhance & protect these wonderful resources. One of our core beliefs is that the villagers and communities who live in or border wildlife areas have key conservation roles and undeniable rights. In the next 20 years, these communities will control the density of wild places and wildlife. This already is evident in some of our conservation areas. It is therefore critical that these people are brought into the mainstream of conservation and tourism to ensure that the future of their communities and the regions fauna & flora is sustainable. Our challenge is to ensure that our interaction with the local people helps instill an ethic of land stewardship and conservation practices for present and future generations.